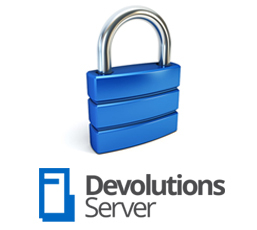 Devolutions is a leading provider of remote connections, network accesses, password and credential management tools for network administrators and IT executives. We believe that IT departments are no longer a source of expenses but a source of revenues. IT have become part of organizations’ most important asset in order to get an edge on the competition. That’s why we don’t fall in love with our technology and launch products just to feel good about it. We listen to REAL world IT challenges and come up with REAL answers. We are expert at designing and creating REAL concrete IT solutions that increase efficiency and productivity in businesses throughout the world. 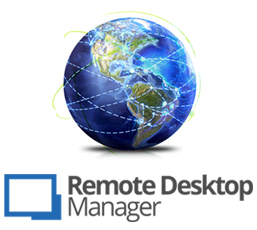 A quick overview of Devolutions Remote Desktop Manager. See how you can easily and securely centralize and consolidate all your remote connections, credentials and passwords. IT departments are responsible for managing and controlling access to an ever-growing inventory of on-site and off-site servers, computers and devices. Yet relying on multiple remote connection tools and password managers is inefficient, frustrating and unsecure. Instead of being treated to streamlined clarity, IT pros, sysadmins and help desk technicians struggle with ongoing chaos. The solution is to centralize remote connection technologies, remote machine data, password management, and access control on a platform that is secure, scalable, and refreshingly simple to use. Secure Password & Access Management for the Entire Organization. Managing and controlling access to privileged accounts and vaulting business user passwords are of the utmost importance for any organization. With the growing concern over insider threats and data breaches, the real challenge we face is finding the right balance between keeping an organization’s assets secure and allowing users to be productive. The remedy is a comprehensive, highly-secured vaulted password management solution that can control access to your privileged accounts, while also improving overall network visibility for sysadmins and providing a seamless experience for end users. Instant Remote Support & Remote Desktop. IT pros, sysadmins and help desk technicians know that a flexible and easy-to-use remote desktop access solution is essential for supporting end users, and managing multiple remote servers. At the same time, management must ensure that the price position is affordable and sustainable. The answer is to find a solution that strikes the perfect balance between cost, functionality, a rich feature set, efficiency, user experience and security.